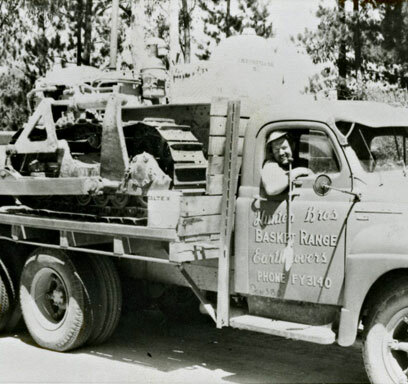 Hunter Bros. Earthmovers was established in 1945 at Basket Range in the Adelaide Hills. The family were originally market gardeners who purchased tracked earthmoving equipment to enable them to clear and cultivate land. This led to requests from neighbouring businesses to clear and prepare new fields for cultivation and development. Soon the earthmoving became the Hunter family’s primary focus and their earthmoving business was born. 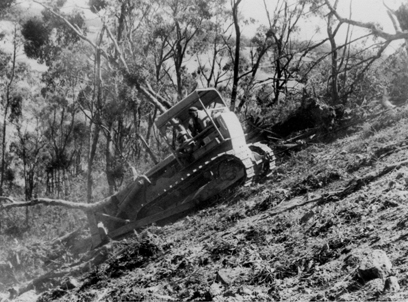 Three generations later Hunter Bros. has continued to grow and although they provide earthmoving services to large corporations on a scale that could not have been imagined in 1945, Hunter Bros. still perform earthworks for many primary producers in the Adelaide Hills.